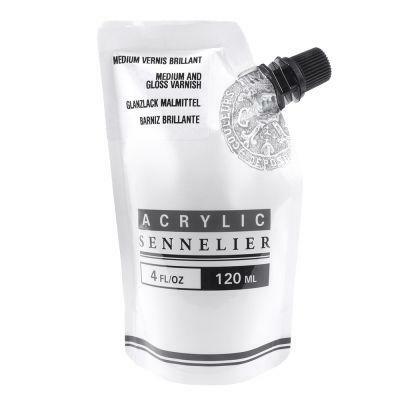 Sennelier Abstract Acrylic Gloss Varnish Medium provides a dual function. As a medium it improves the adhesion of the film and increases the shininess. As a varnish it protects the work. 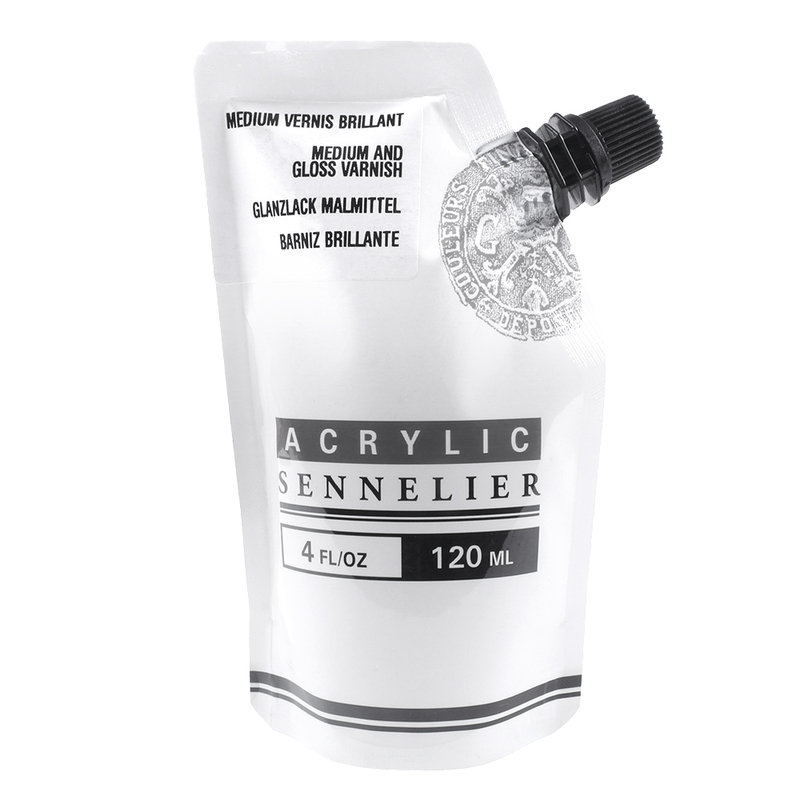 It gives the paint film a better grip and increases the colour depth, intensity and brightness. It can also be used as a permanent varnish to protect the painted area and to reach an even glow.